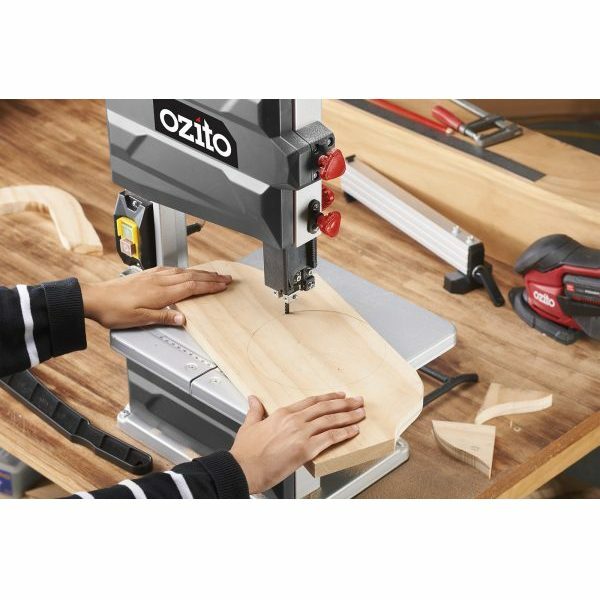 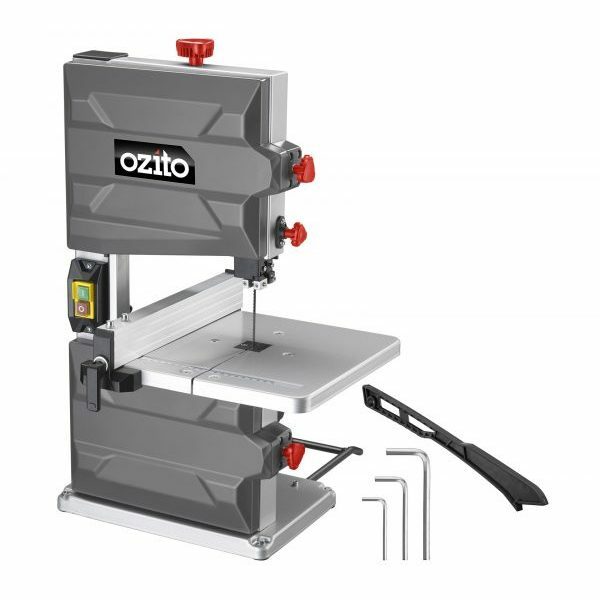 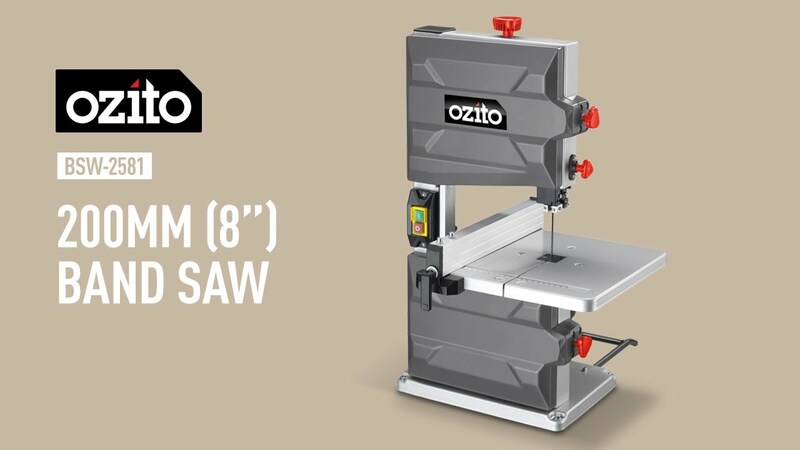 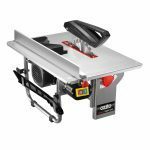 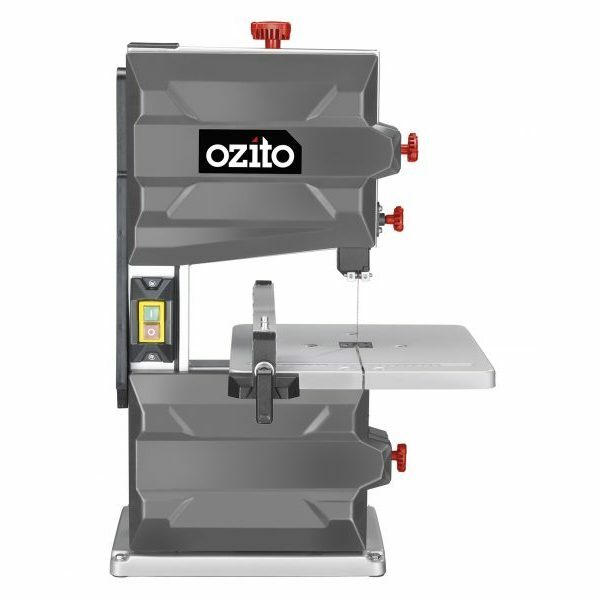 The Ozito BSW-2580 Band Saw is a compact bench-type unit, ideal for cutting shapes in various materials including timber and plastic. 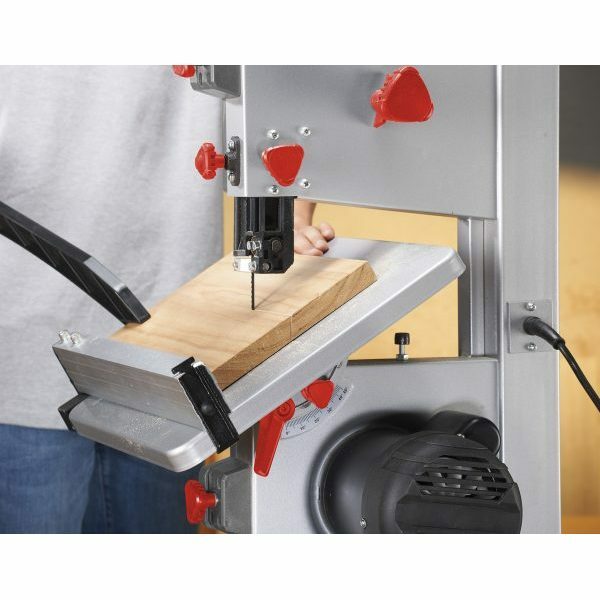 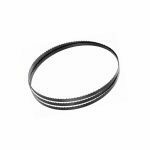 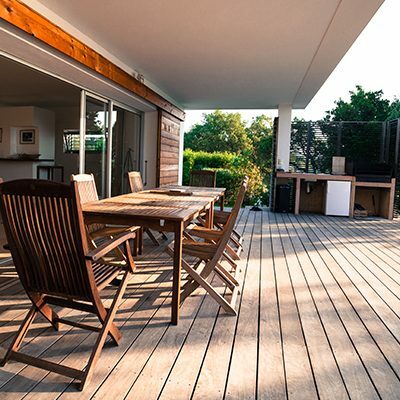 The adjustable blade guide with roller bearings is easily adjustable to suit the material thickness to be cut and the table can be tilted from -2° to 45° for various angle cuts. 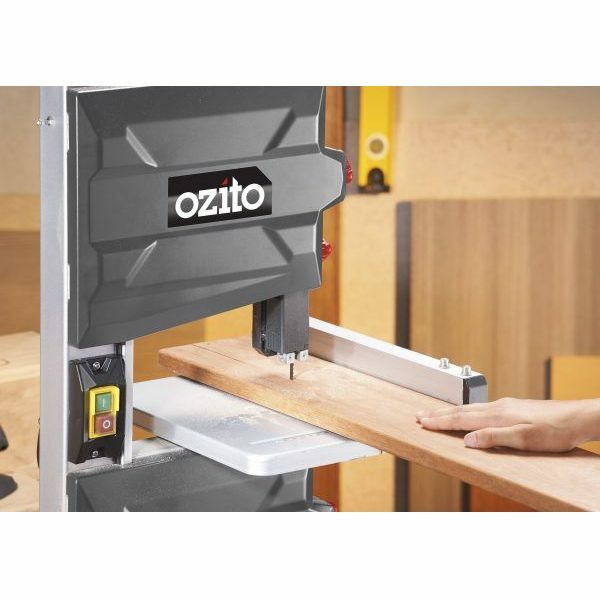 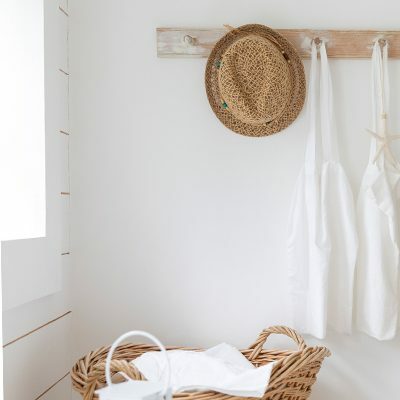 The rip fence and push stick provide support and safety whilst cutting, plus the dust port allows connection to a dust extractor for a clean working environment.